In early 1962, Jim was approached (through his agent Bernie Brillstein at William Morris) by legendary Broadway writer and television producer, Max Liebman (discoverer of Sid Caesar and producer of Your Show of Shows) to work on a couple projects. Correspondence mentions, but does not detail, a mysterious “Monster Show” that Liebman optioned from the Muppets that was never produced. The second project, which was taped that April, was a television pilot for a mock news show on CBS called Mad, Mad World. As defined by Liebman himself, it was, “A weekly roundup of absurdities. A survey of real and composite characters and situations in the nation and around the world. A mad report of what has happened or could have happened during the week.” It anticipated elements of SNL’s “Weekend Update,” The Daily Show and the Muppet Newsman’s scenes from The Muppet Show as well as the news segments from Laugh-In. In the script (written by Larry Gelbart and Gary Belkin) Jim Backus, Wally Cox, Kay Stevens, Elliott Reid, Carl Ballantine, Frank Fontaine, Rip Taylor, Tim Conway, and Lou Cutell introduce themselves as international correspondents. When a Muppet then tries to introduce himself, he is eaten by Yorick. A Muppet machine, with lots of wheezing and beeping sound effects, introduces the first segment – a series of on-the-scene interviews of people in the subway. 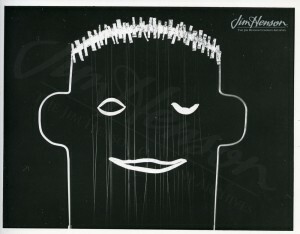 Jim’s Limbo character (referred to in the script as “Line Face”) introduces a visit to a fictional TV show “Ben Cagey, M.D.” Later in the program, Jim’s “Visual Thinking” piece from Sam and Friends is featured, and, to finish, the noisy Muppet Machine closes out the show with an explosion. The following year, Jim partnered with Liebman to pitch ideas for the World’s Fair, and a decade later worked with Larry Gelbart on Broadway show ideas. Mad, Mad World was not picked up as a series, but Jim certainly learned from his involvement, incorporating his experience into his later work. 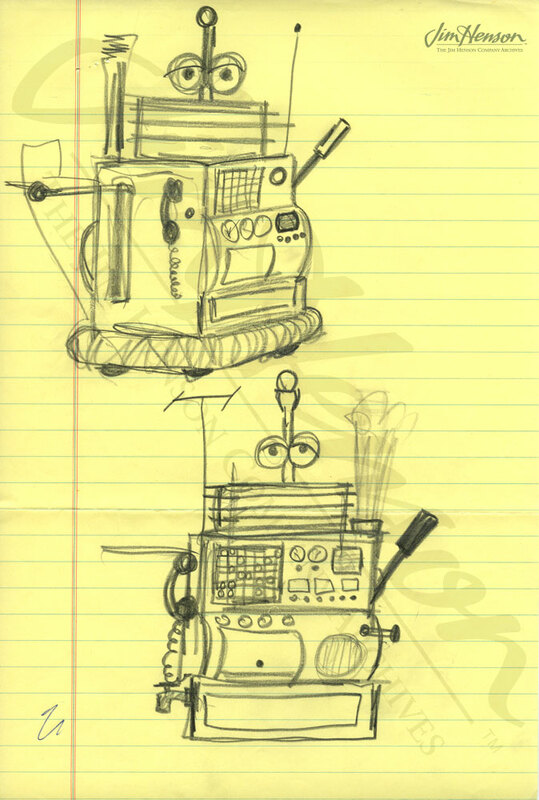 Jim’s short film “Visual Thinking” that was made for Sam and Friends also appeared as part of Mad, Mad World. Silent footage from Jim and Jerry Juhl’s performances at the 1961 US Food Fair in Hamburg, Germany includes clips of the cranky Muppet machine and Jim’s puppet “Limbo”. 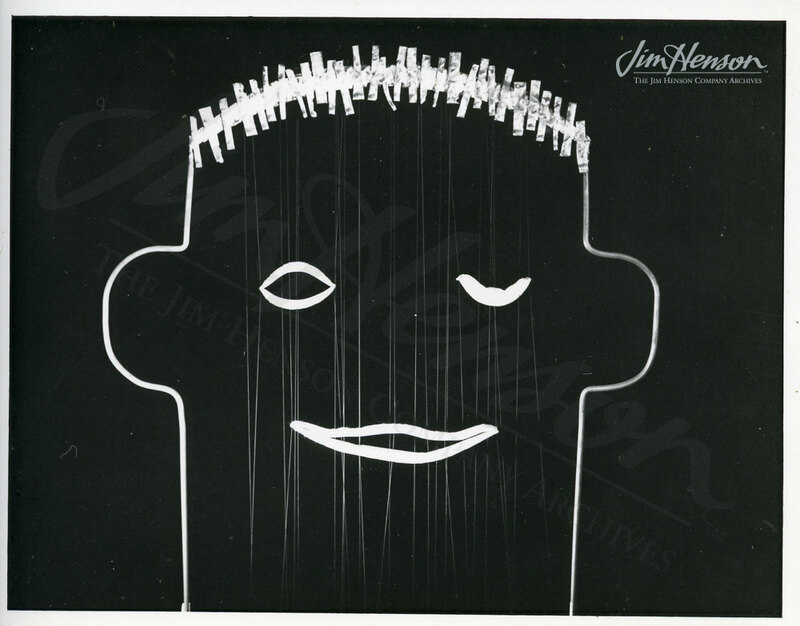 Jim’s Limbo character, called “Line Face” for obvious reasons in Mad, Mad World. Jim’s idea for a Muppet machine, 1960s. This entry was posted in 04-April '62, 1962, Mad Mad World and tagged Belkin, Carl Ballantine, Elliott Reid, Frank Fontaine, Jerry Juhl, Jim Backus, Kay Stevens, Larry Gelbart, Laugh-In, Lou Cutell, Mad, Mad World, Max Liebman, Muppets, pilot, Rip Taylor, Sid Caesar, The Muppet Show, Tim Conway, Wally Cox, Yorick. Bookmark the permalink.